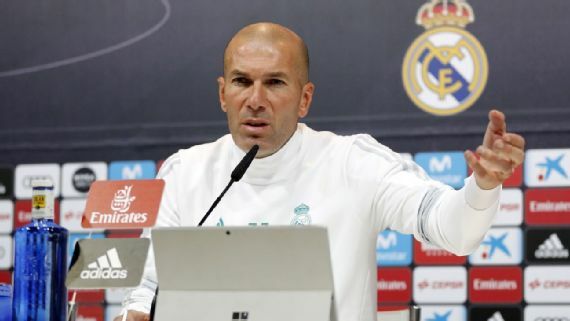 Real Madrid manager, Zinedine Zidane, has said their last-gasp win at Leganes in the Copa del Rey quarter-finals, could prove to be a turning point. It was Real’s second win in 2018 and broke a three-game winless streak. Marco Asensio scored the only goal late in the game, with the LaLiga champions missing forwards Cristiano Ronaldo, Gareth Bale and Karim Benzema. “The result is very good for us, keeping a clean sheet and scoring an away goal. “We were committed, defended well, had a lot of balance in our play. “We found it difficult to play with more adventure. But that is normal, as many of these players do not play often. And the second half was much better. “We have to get back to winning games, keeping clean sheets. Today was a step that way. We cannot say we played a great game, but we got an important result in the tie. That is positive. “We hope this is a turning point. We wanted to win today, at a difficult place to play. We are happy with the result,” Zidane told reporters.